Snow, mountain and road: the 3 words that will define the next 20 years of Ruroc! 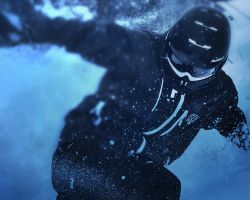 Over the past 6 years, Ruroc has dominated the full-face ski and snowboard helmet market with their RG1-X helmet system profitably generating over £1.45m turnover this year alone. With over 30,000 helmet systems in circulation, weekly Sky Sports coverage in the pit lanes of Formula One, who use our helmets, and a network of over 830,000 fans, Ruroc are now ready to tackle their next market head-on. Riding with Ruroc means knowing the value of getting out early to cut the first lines, finishing after dark to make the most of the day and pushing yourself to do something more. Ruroc was built because they knew what challenges extreme riders face. 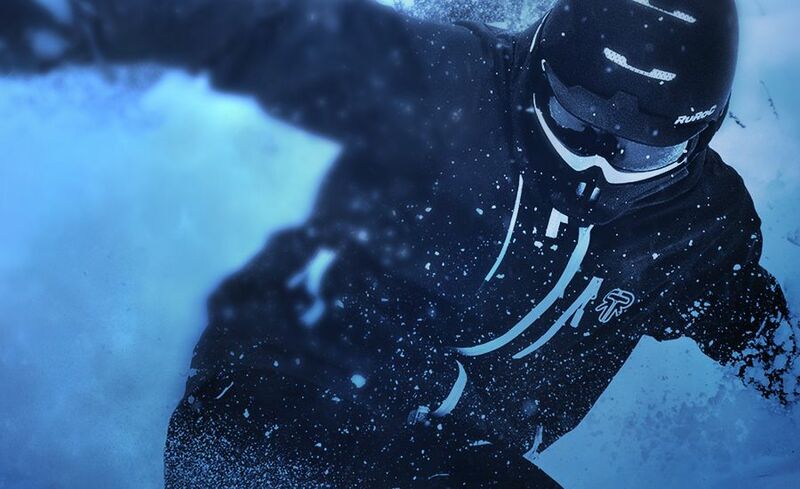 Ruroc are the creators of the world's first fully integrated ski helmet, goggles and mask, and are hailed, by over half a million social media followers, as the revolutionaries of safety and style on the slopes. 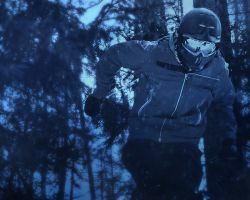 Ruroc now wants to invite you to join the team and fund their mission to construct brilliant gear to enhance protection in extreme environments. Ruroc's value is in its community. Their 'fans, not customers' mantra has led them to amass a global network of over 830,000 followers and establish themselves as a highly engaged action sports hub. Fans look to Ruroc for industry news, weather reports and other user generated content that embodies the lifestyle that Ruroc represents. 1) Their gear must be unique in its design and like nothing else in its category. 2) Their gear must have added performance benefits. 3) Their gear must always be fan and user driven. 4) Their gear must make the user believe they can step out of their comfort zone. These pillars lead their fan relations, product development and guide the company as a whole. 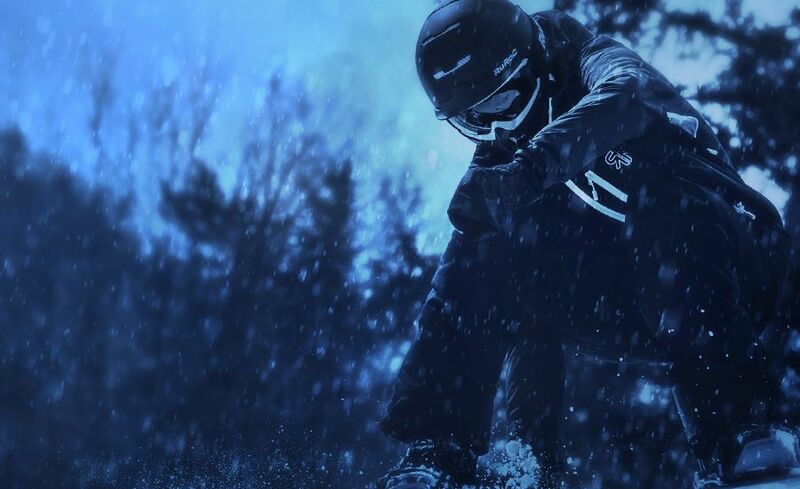 An unconventional approach to design, marketing and fan engagement has seen the Ruroc RG1-X helmet system enhance traditional ski helmet safety, eradicate goggle fog and prevent overheating. 2015 led to a new market leading innovation in magnetic lens technology, known as MagLoc. Impact - Helmets and Body Armour. Optics - Goggles and Sunglasses. 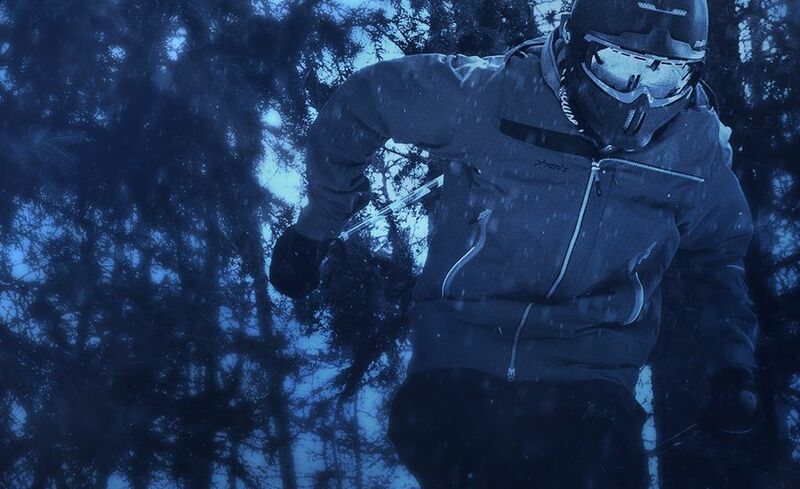 Elements - Technical Apparel for cold or warm climates. In 2017, Ruroc will seek to evolve from a Snow Sports protection brand into an Action Sports brand with the launch into the Road category, specialising in SuperMoto & Streetfighter style helmets. Furthermore, this evolution increases their brand presence in the Snow category as the new road-worthy helmets would allow Ruroc to cross over into the Snowmobile market. Ruroc's entry to market method is based around bringing a flagship item to cause disruption. They will then innovate and drive their expansion through the Optics and Elements categories. 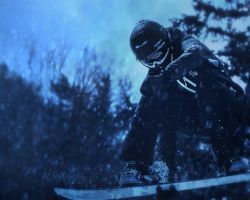 Ruroc are hoping to transcend the snow sports to become a brand synonymous with action sports within the next 10 years, in the same way Red Bull, Monster and Volcom have managed. Asian Fit helmet and goggles - the Chinese market is growing rapidly with the 2022 Beijing Winter Olympics looming; their new distribution partner in Beijing has placed a phenomenal order for their Asian fit gear! The team at Ruroc are young, hungry and dedicated to growing the company to its full potential. Below are two examples of brands in their market who have achieved fantastic results from exits, ranging from a $65m+ exit to a $600m exit. While those exits are undoubtedly exciting, Ruroc understands that some investors may look for shorter 3-5 year exit plans. In the shorter 3-5 year term, Ruroc intends to bring in experience from private equity investors, thus hoping to be able to give early investors the opportunity to sell their shares and creating an earlier exit. This cannot be guaranteed and are based on indicative plans. Q. Hi. My name is Libra. When investing in the USA becomes available, can i start with a small investment like say $500 and then add more later to increase my total value so to reach The Free Helmet and Shockwave Levels and beyond? Q. I invested 2k. How do I get the helmet? Q. Hey i want buy for computer or laptop? Q. I have no USA dole.but why. ? Q. Can you confirm that the investment opportunity is closed - no more funding is needed in this round? A. Hey Gregory, I can confirm that this round is closed. For info on any future round contact me directly at dan@ruroc.com. Q. I could not have the helmet without having to do something? Q. Hi, Want to invest some money, its already closed? A. Hey Carl, sorry for the confusion - I'm not sure why the campaign has turned back on but we are no longer accepting investment! We may have another round in the future though. Thanks for your interest and stay tuned on Ruroc's facebook page for future updates! Q. If you invested to earn the helmet, but it doesn't cover the limited helmet, can you pay a fee and upgrade to the limited helmet? Q. I would like to sign up for the free helmet level. Please advise what happens if the helmets are oversubscribed - will I definitely get one? Also I would appreciate copies of your latest P&L and accounts please. Finally can I add the bluetooth after? A. Hey Bruce! The initial free helmet level doesn't give limited editions you need subscribe to the £10k level for a limited edition - so unless you're going for the £10k level then there's no worries about them selling out. I've seen your email come through so I'll get the latest accounts fired over to you there :). Bluetooth can be purchased separately and added any time! Q. Can Canadians invest ? Q. Could you please confirm all R&D is expensed and not capitalised? Also, any chance of some basic cash flow numbers beyond EBITDA? I can approximate but more detail would be great pls. Thanks! A. Hey Conrad - thanks for your questions! As the BP says the numbers on the BP are without "intra group license fees". As Ruroc Sports limited does not trade and is an IP holding company it generates revenue through licensing the IP to Ruroc Limited. Ruroc Sports has had some costs in this year so we made a £34,000 charge from RSL to RL. The number on the BP represents the true net profit made by the trading company Ruroc Limited. Q. Hi, I am trying to understand the financials. Why is the tax for 2016 being added instead of deducted from the pre-tax profit? Is there some sort of tax-aid or are the financials on this website inaccurate? A. Hey Zi! Very good question but the website is absolutely accurate and this "negative tax" reflects our deferred tax provision. We are making a provision for the future tax saving that arises from the tax losses to date (these are enhanced by an R&D tax credit claim that the British government offers to companies spending on R&D). As this is a benefit to the company, it is added to the profit rather than deducted. Q. Hi. If I invest 1500 and have 40%off in the first 3 years + 25%off any time as long as I hold shares....does that mean I have 65%off in the first 3 years? Also until you may offer to buy back the shares in 3-5 years (maybe), do I receive any dividends ? Q. Can US citizens invest yet? A. Hey Braden - not just yet, we'll be setting up a new campaign on a US investment site soon and we'll release details of it the second it's ready :). Q. I'm from the US - it looks like we can't invest yet correct? Is there a time frame of when you think this will be available to us? A. Hey Monica! It's not available for US investors just yet but we are working on getting it live with a US funding platform within the next month so stay tuned on facebook and on here and we'll update everyone the second it's available for US investors! Thanks! Q. Is there an estimated time frame on the SEC approval? Q. I saw a previous comment about investment from USA required more of a minimum investment. Is this true? A. Hey Matt, there is a delay on us accepting US investment at the minute as we need to get confirmation that we are compliant with SEC rules on international investment - hang tight and you'll get updated by email soon! Thanks for your support! "To construct the most insane gear that enhances protection in extreme environments"